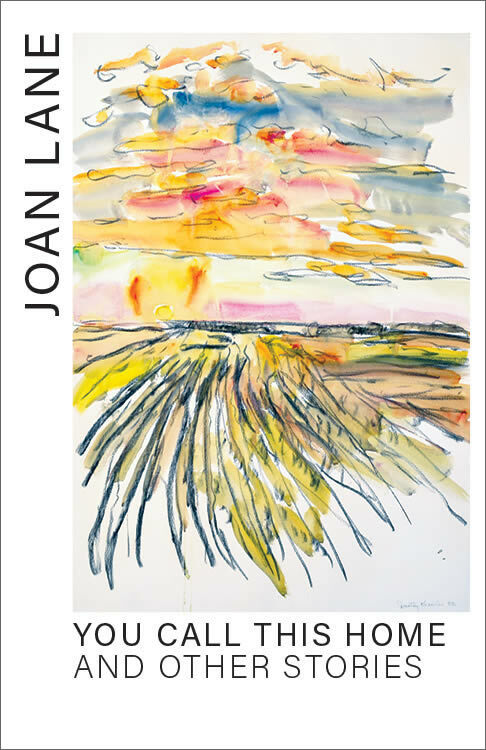 The first story from Joan Lane's collection You Call This Home. It must have been after Christmas, because I already had Nancy Anne. She had arrived—not like my other dolls, resplendent beneath the tree on Christmas morning—but weeks before, in a big brown carton from my aunt in Victoria. “Open it! Open it!” I commanded my mother. When Vanessa stomped in after school I was waiting at the back door. “What’s in it?” She looked pleased when I said we’d waited. Together we rushed to the dining room. With the dexterity of a safecracker Vanessa cut string and slit paper, revealing a treasure chest of packages. She lifted them out one by one. “This one’s for Daddy—bet it’s a tie. This one’s Mommy’s—I hope it’s something pretty.” I watched expectantly as she pulled out two long boxes. “The blue one’s yours, Katy,” she was saying when Mother appeared. “But they are,” Vanessa said coolly. I seized the blue box and marched it round the dining room. “This one’s mine!” In triumph I set it down, flipping it over in my excitement. Her words cheered me up. She smiled at me; Vanessa rolled her eyes. Even so they were alike: to me their cloudy dark hair and violet eyes drew them together into a lovely circle from which I (with my father’s red hair, gray eyes and sandy lashes) was forever excluded. Mother was right: on Christmas morning I was surprised, for although Nancy Anne was of course a doll, she too had red hair and gray eyes. I loved her. As the new year settled into a January of frigid days and long evenings she became my best friend. That’s why I’m sure it was after Christmas when I composed my splendid music, but it was only years later, when I heard again the last movement of Tchaikovsky’s Fifth Symphony, that I recognized in its opening bars the theme I had once claimed as mine. The memory is as crystal as the day, a brilliant, bitter Saturday when frost furred the windows and the noon sun hung in the sky bracketed by crescents of light. “The sun has company,” I told my father when he came home. The wind snarled into the kitchen behind him. The sun streamed into the dining room. The wind seized the windows and shook them. My vegetable soup grew cold while I tried to eat it in alphabetical order. My parents talked about Hitler and bombs. Vanessa coughed. “That bark’s getting worse,” Father said. Mother felt Vanessa’s forehead. “I think you should lie down, dear.” She led the unusually docile Vanessa upstairs. Frowning, my Father rose as if to follow. I forgot about Nessa as we cleaned up. By the time Mother came down I was drying the soup bowls. So we were going to have our usual Saturday afternoon after all. Father would go back to the office while Mother listened to the opera broadcast. Father respected the fact that Mother was an Accomplished Musician. I never tired of hearing how he had given her as a wedding present the grand piano which stood like an exotic creature in our living room, a testimony of extravagance and love. But he drew the line at listening to the opera. I headed for the living room with Nancy Anne in tow. I guess she was really rather ungainly, with her large plaster head and plump arms and legs attached to a soft, squarish lumpy body; but to me she looked lovely as I set her down under the piano. Its three sturdy legs defined the boundaries of my private domain, a cozy triangular cave too low even for Nessa’s comfort. Only I and my toys were at home here. Best of all were the times when Mother played and the roof of my cave rang with music. “Goodness, we’re too early for the opera.” Mother spoke as though she stood on the threshold of a great hall; but instead of taking her opera seat on the chesterfield she slid onto the piano bench to pass the time. I built a house with my blocks while Mother’s music traced lacy patterns over my head. Next came thunderous chords. Mother’s slippered feet pedalled furiously. My cave shook with the storm. I adored her playing. Maybe someday I’d play like that too—she said I had a “good ear” because I could already pick out melodies. But only in the key of C; maybe it was the other, not-so-good ear which would some day unlock the mystery of the black keys. I was less pleased when she began to sing. She had a strong soprano voice which I liked when she sang softly; but the louder it got the less I admired it. One of her favourite songs, called Homing, had a loud middle section that I detested. She chose to sing it now. “All things come home at eventide … ” she began. I started to gather my blocks. I was too slow; she was at the dread, loud “dearest, I have wandered far…” before I could escape. I made a mad dash, dragging Nancy Anne by a leg. It was too much for the poor doll. Her head slipped its wire moorings. Across the rug and onto the bare floor it rolled, gray eyes clicking open and shut. The singing stopped. Mother stared at me and the head. I snuggled into the curve of her arm. The voices soared and soared; then the curtain came down to a roar of applause. I crawled back under the piano. My cave was purple with shadows. On the radio a deep voice said they were going to play the last part of something. Slow and purposeful, deep as the shadows, it sounded as though a king was passing by. I ran to find Mother; she was coming downstairs. I returned to the music. It surged and built to a majestic finish. I flicked off the radio. Father had just come home. Mother’s voice drifted in from the hall. I climbed up on the piano bench and softly, haltingly searched for the music. Dum da da dum; no, dum da dum. Slowly the theme emerged: E EF EDE C. I found the same notes lower down. The music began to sound like the king passing by. “Dinner, Katy,” Father called. I went reluctantly. “She’s in bed,” Mother said. “1’m playing some new music,” I told her. “I wish he’d call back.” Mother looked pleadingly at Father. Father didn’t try to stop her. We ate in silence until the phone rang. While Father talked I made a mashed-potato castle then traced the king’s path as he circled it: dum da dum da da dum dum. “He’s coming right over,” Father called upstairs. I waited at the door with Father. Dr. Watkins was a great favourite of mine; he always scooped me up and held me high in the air. But when he arrived, his curly brown hair crusted with snow, he merely patted me absently on the head. I followed them as far as the stairs. Then I curled up on the chesterfield and fell asleep to the sound of the wind keening against the house. I woke next morning, not in my own bed in the room I shared with Nessa, but in the spare room. Nancy Anne sat in the rocking chair, my bathrobe draped over her knees. My slippers stood primly on the rag rug. So I was supposed to be here, like Grandma when she visited. I got up and padded to my own room. Mother was asleep in my bed. But it was Vanessa who commanded my attention. She slept too; but her chest shuddered, her breath came in soft moans and gurgles. Father appeared at the door. He made a shushing sound as he led me down to the icy kitchen. “No, she’s just tired.” Father poured me some cereal. “I want pancakes, Daddy.” But I knew that Mommy always made the pancakes. I ate my cereal. So began the quiet gray days; I have no idea how many, though they seemed endless to me. The centre of our house moved upstairs to the bedroom where Nessa lay, and to Father’s little study across the hall. Father put the card table up there so that Mother could have her meals close to Nessa. They spent the evenings there, Father going downstairs only to listen to the war news. Mother would sit reading on the old brown couch. Sometimes she fell asleep; then she’d wake with a start and rush in to check on Nessa. The piano stood mute except for the times when I stole in to work on my composition. The days passed in a slow progression of silence, doctor’s visits, and mustard plasters. “Ugh, what’s that?” I asked, the first time I saw Father spreading the hideous acrid yellow glue on a square of cloth. “Of course not, but it will help make her better.” Mother spoke in a flat voice. She didn’t look at me. I made a train with the empty red-and-yellow mustard tins. The train grew longer with satisfying regularity. One noon hour before Father went back to work he dressed me in my snow pants and jacket, wound my scarf over my forehead and took me outside. The sun was bright. The wind blew whiffs of snow off the banks. I tried to make a fort; but the snow turned to powder on my mitts. I was dragging my sleigh along the sidewalk when a shadow crossed my path. Mr. Arnold stood there with his cane. I’d never liked him. He was old and his eyebrows and beard were made of gray wire and he had angry blue eyes. “How’s your sister?” he demanded. “Dammit, child, I know she’s sick. I said HOW IS SHE?” He fixed me with his fierce blue glare. I fled up the steps and banged my mitts against the door. I was still banging when I heard a voice at my back. I hadn’t heard Mrs. Clark come up behind me. I liked her only slightly more than I liked Mr. Arnold. She was wearing her coat of tight little gray curls that looked like her hair, and she carried a towel-covered plate that smelled nice. I opened the door and she swept in. I followed her to the kitchen. “Bossy,” I muttered softly. Yet my anger alarmed me, for it was in fact directed not at Mrs. Clark, but at Mother. She could have had my company; we could have talked; I could even have played my music for her. “I hope you’re being good for your Mother,” Mrs. Clark said as we waited for the kettle to boil. “I’m trying,” I said. “I’m composing some music,” I added. They had their tea upstairs. Their voices wafted down: pneumonia, war, worry. When they finally came down Mother embraced her friend. I stayed downstairs and played my music. I’d added a one-note accompaniment—a deep C played at intervals throughout. It sounded wonderful. The doorbell rang. I let Dr. Watkins in and went back to the piano and played until I heard him coming down. “What about the medicine?” Mother asked. The front door closed. I went out to the hall. “She doesn’t take quantity; it’s… oh never mind, Katy.” Mother brushed by me and walked restlessly through the downstairs rooms, turning on lamps as she went. Her hair looked untidy, her skirt sagged. I was glad when I heard Father come in. Father was taking off his coat. He stopped for a second, the way Nessie and I did when we played statues, his arms awkwardly raised. Then he hung up his coat very carefully. “I have to be at that meeting tonight. I tried to put it off.” He placed his hands on her shoulders. “Is Don coming back?” She nodded. “Will you be all right?” he asked. “Oh I’ll be all right.” She turned away. I crept upstairs. What’s a crisis? I wondered. A monster, maybe, or a howling blizzard. Or maybe it had something to do with Nessa. Since that first morning I’d paid little attention to my sister. Now I went into her room and examined her closely. She was awake; but she didn’t look at me. Her face had shadows; even her eyes were pale. The room seemed filled with the harsh rasp of her breathing. I tiptoed out. Later as I lay in bed with my arms around Nancy Anne I tried not to think about the crisis. Maybe it wasn’t coming after all. It wasn’t there before bedtime, anyway; we’d had sandwiches in the study, and afterwards Father had read me The Three Bears and he and Mother tucked me in. I woke in blackness. I got up and opened my door. Down the hall the study door was ajar, and from the softly flickering shaft of light I knew the stove was lit. I edged closer. Mother and Dr. Watkins sat at the card table, the round brown teapot and two blue cups between them. The firelight glinted off Dr. Watkins’ glasses. My mother’s shadowy profile looked beautiful and sad. I stood frozen with rage. She was laughing. My wonderful, loving mother, who hardly noticed me any more because she was supposed to be tired and worried and sad was laughing. She wasn’t sad at all. I sped downstairs to the piano. DUM DA DUM DA DA DUM DUM. I struck the keys with all my strength. The music rose solemn and accusing. The king was thundering by. “Gwen, don’t.” Dr. Watkins seized her arm. Her fury spent itself as quickly as it had risen. She gathered me in her arms in a fierce convulsive grasp. I heard her racking sobs and felt her tears on my neck, and I knew the power and the guilt of having made my mother cry. “It’s all right, Mommy,” I whispered. She continued to rock me in her arms. Her sobs died to quiet weeping. “Gwen?” We hadn’t heard Father come in. He stood white-faced in the doorway. We waited in silence. I wanted to ask, why didn’t you tell me she might die? I felt sad about Vanessa; and I felt a deeper, secret sadness about my music, for I knew I would never play it for Mother now. We heard footsteps coming down. Father took Mother’s hand. The memory has faded like an old photograph; yet I can still see them, three shadowy figures awkwardly embracing with quiet joy. Mother laughed softly. Father’s eyes glimmered with tears. I wanted to turn away. I wanted them to be as they had always seemed to me: brave, invincible. Knowing when to laugh. Never crying. I stood by the piano as they crossed the living room to go up to Vanessa. At the doorway Mother looked back at me and smiled. I ran to her, and she hugged me.